We set off early for the town of Omis, with plans to stop at another old city, Trogir, on the way. 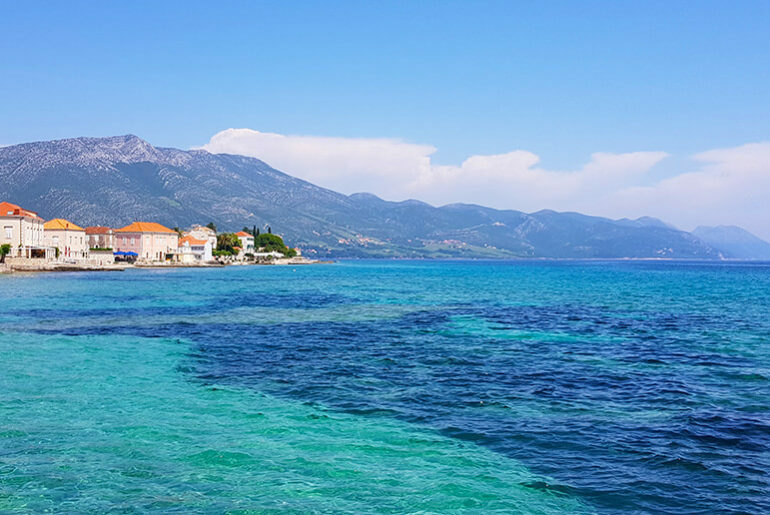 Trogir is only an hour South of Sibenik and the views en-route were beautiful. 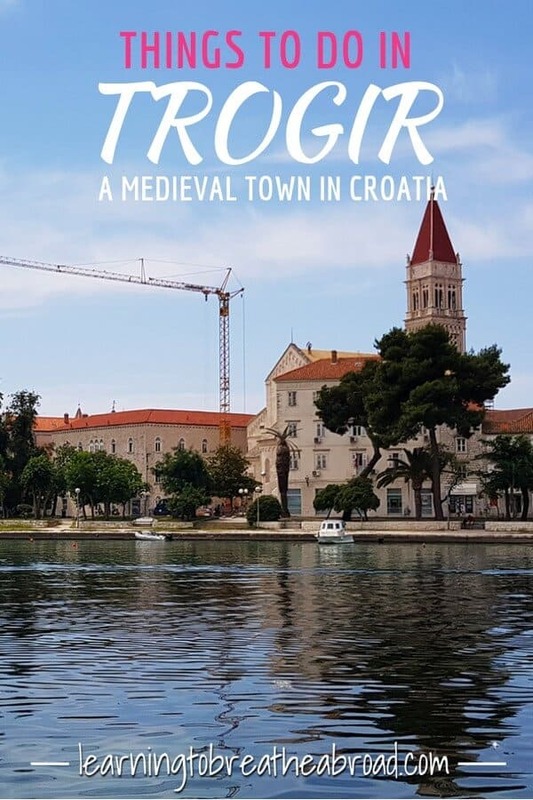 The old town of Trogir sits on a small island connected to the mainland by a little bridge, with another little bridge joining it to the larger Čiovo Island. It is an impeccably clean city and all the buildings were built using a white stone, so it didn’t have the dilapidated look we’ve seen in other old towns. There were also lots of fancy yachts moored along the promenade and a big cruise liner, so obviously a popular tourist spot. 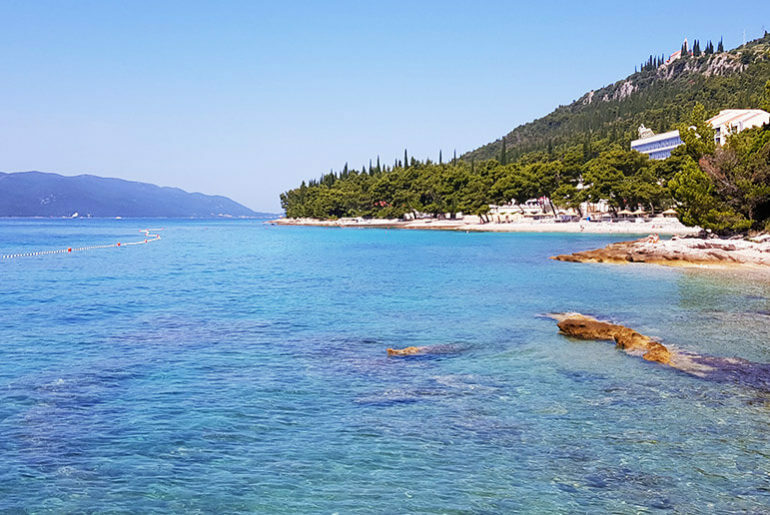 It was a bit of a whirlwind stop, but a gorgeous little town and a coastline dotted with little pebble beaches and poppies, so I think it would be a great place to relax for a few days. The whole town is enclosed by the city walls, so wander at will down the labyrinth of alleyways and cobbled streets. Built between the 13th and 15th Century the St Lawrence Cathedral has both Romanesque and Gothic architectural characteristics in its design. This three-naved Venetian cathedral is considered one of Croatia’s best architectural feats. Climb the bell tower for amazing views across the city of Trogir. At the end of the palm-lined promenade is the Kamerlengo fortress or castle. 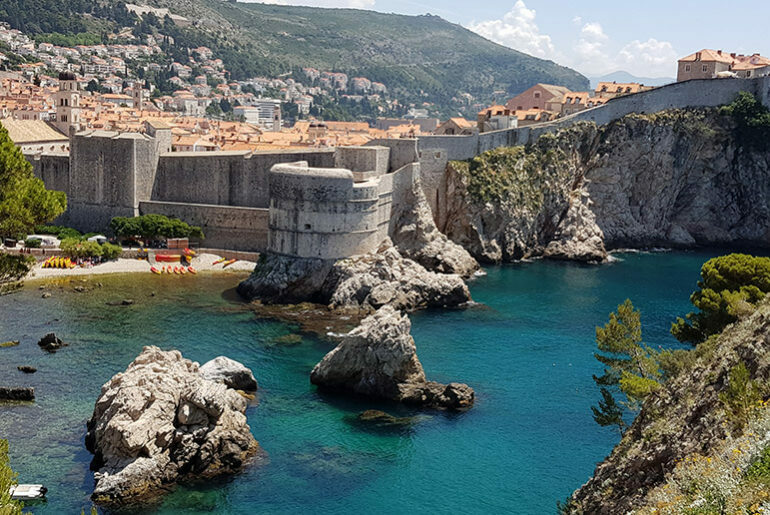 Built in 1420 by the Republic of Venice, the castle used to be joined to the city walls. It is now home to concerts during the Trogir Summer festival. Climb to the top inside for great views. The wide palm-lined promenade is the perfect place to enjoy a sundowner cocktail while watching the world go by. The fancy yachts all moor alongside the promenade so you can have a first-hand glimpse at how the öther half” live. There were restaurants in all the squares and down little alleyways and the wide seafront promenade is also dotted with restaurants., so more than enough places for you to choose from. It was a scorcher of a day and by the time we had finished wandering around the old town, I was soaked with sweat. The water was looking ever so inviting, so we cruised until we found a road down to the beach. I’m glad I checked before running into the water as there were sea urchins everywhere. Apparently, it means the water is very clean if there are sea urchins, so I suppose that’s good, but it did mean I had to be very careful where I stepped. The swim was divine though! 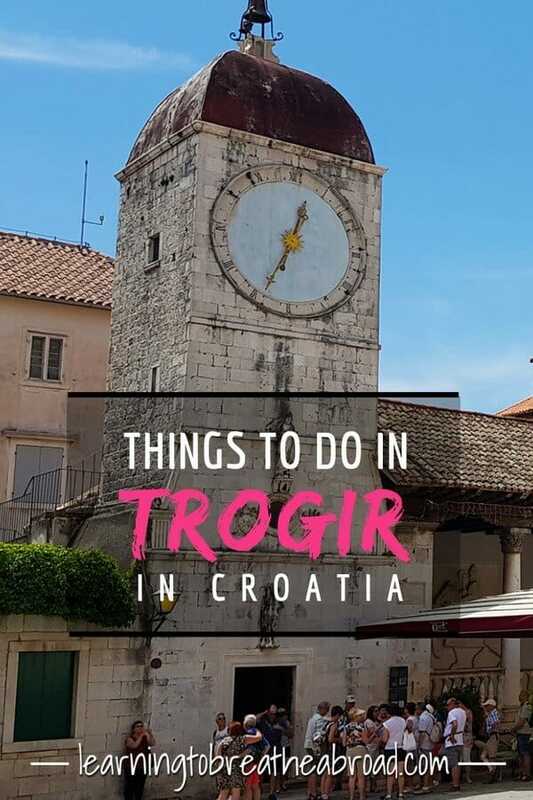 Trogir is 45minutes south of Sibenik and 35 minutes north of Split, so easy to do as a half day or a full day trip. It is a gorgeous old town and well worth a visit.